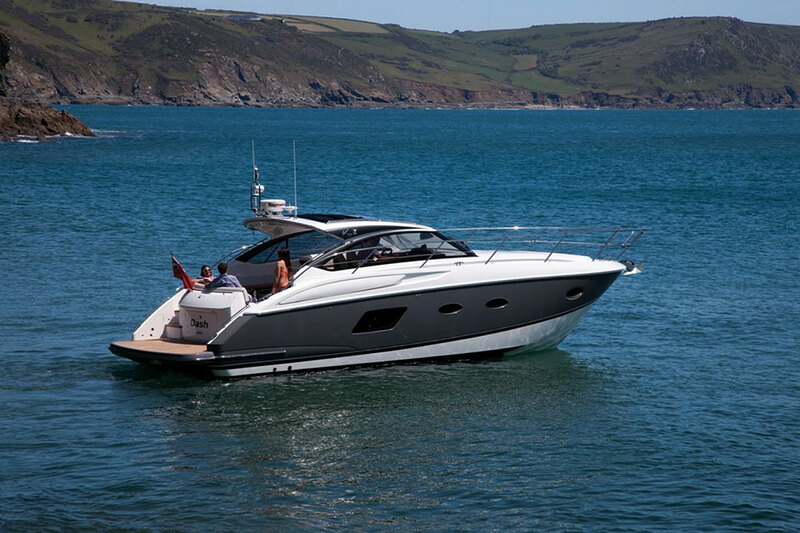 A big debut event for British builder, Princess Yachts at this year's Southampton Boat Show with the launch of the V58 Open. Alex Smith reports. 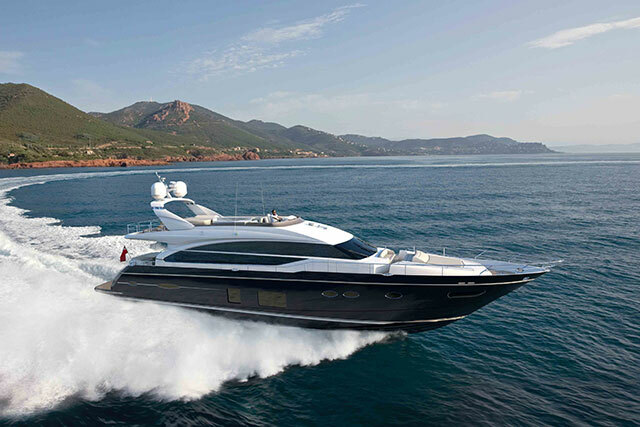 The latest in the Princess Yachts V Class line is the new V58 Open – a high-performance 58-footer designed with outdoor living in mind and plenty of indoor luxury just in case. 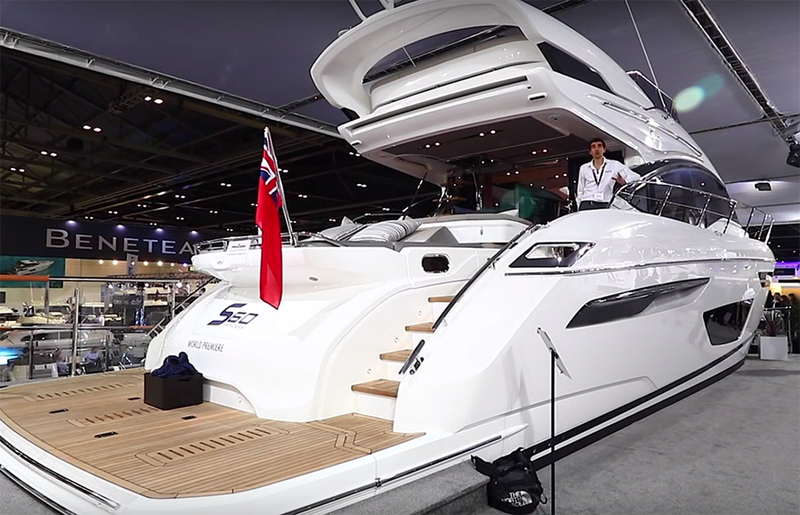 Join boats.com reviewer Alex Smith for his first look aboard at a blustery (aft canvas covers firmly closed) Southampton Boat Show. 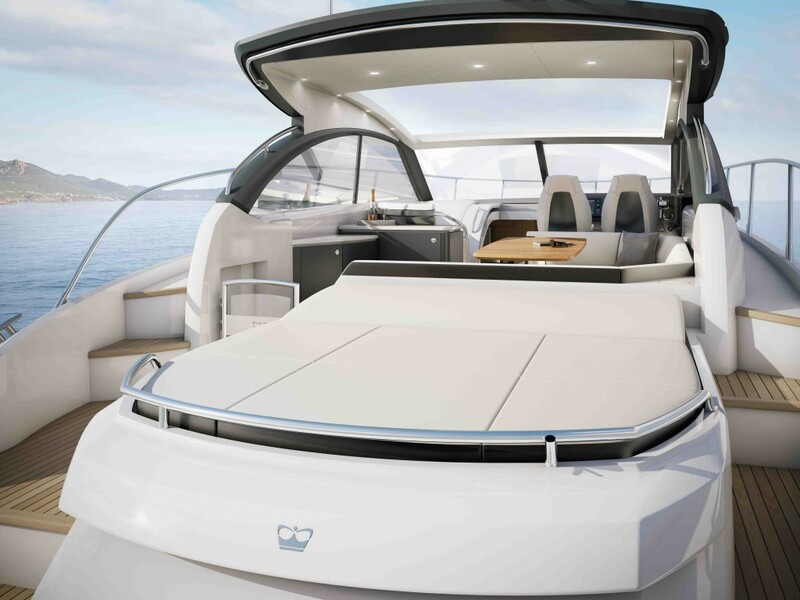 The striking feature under cover aboard the V58 Open is the single-level main deck from the helm station all the way to the steps leading down to the swim platform. 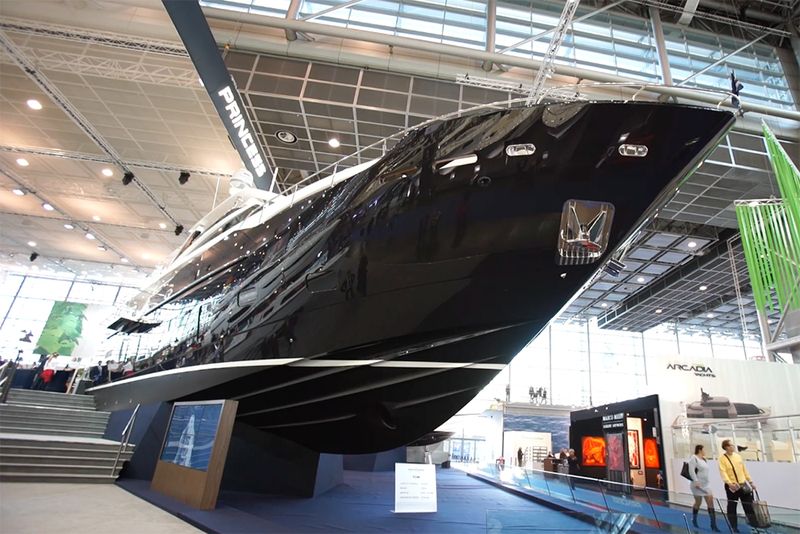 Also, there is extensive use of glass panels in place of solid fixtures on the sides, permitting the available light to beam easily throughout. 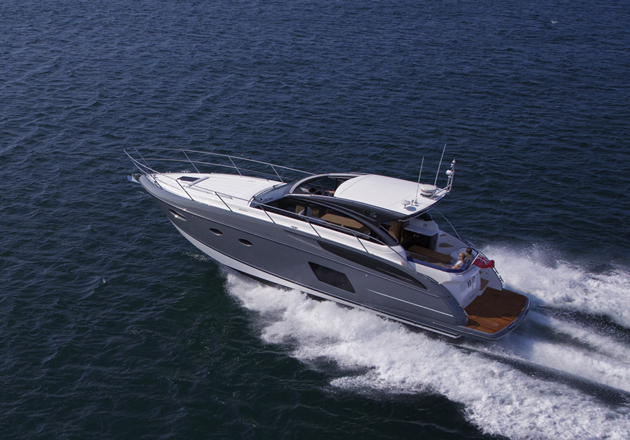 Again, down below, the saloon area benefits from a huge horizontal hull window that enhances the modern, spacious look and feel of the cabins and communal areas. 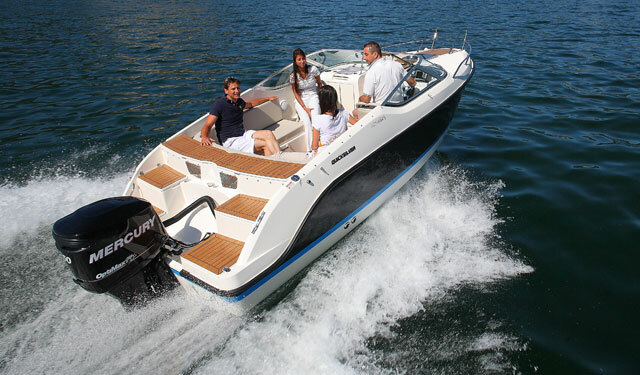 For more information, see: www.princess.co.uk. 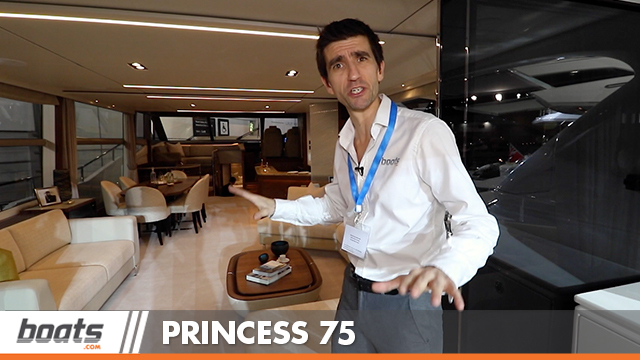 To get a fuller picture of the Princess Yachts range and the company itself, see: Princess Yachts celebrates 50 years or our Princess 68 video, Princess 88 review and Princess V48 video.